Commercial hybrid layers can lay 250-310 eggs in one year, but if you’re not careful, most of these eggs will be of small sizes. 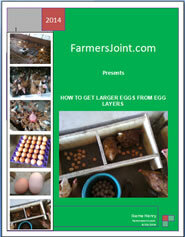 This ebook contains expert tips on how to increase egg production, prevent small eggs and increase egg size. There are lots of proven and promising researches that show that herbs and plant extracts can be used to prevent and treat diseases in farm animals. They can also be used to promote growth and lower mortality. This ebook contains different herb extract you can make at home. 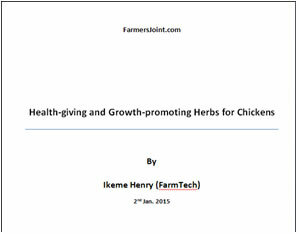 This extracts will help keep your birds healthy, promote growth and increase egg production.